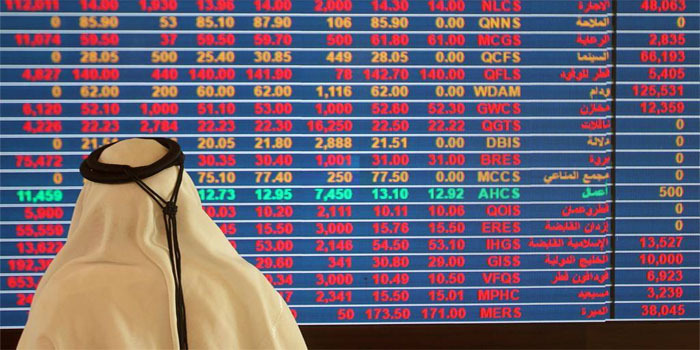 The Qatar stock exchange (QSE) ended Thursday’s trading session in red territory, pressured by a massive drop of all sectors. The general index declined 144.35 points, or 1.50%, to finish at 9,447.88 points. The bourse’s liquidity increased to QAR 161.28 million on Thursday from QAR 100.68 million on Wednesday, while the trading volume went up to 5.55 million shares against 3.59 million in the previous session. The real estate sector topped the QSE’s losers falling 4.68% as Ezdan Holding Group declined 7%. Similarly, the industrial sector levelled down 1.31% after Industries Qatar dropped 2.05%, while the banking sector retreated 1.03% as Masraf Al Rayan plunged 4.6%. By the end of the session, Qatar National Bank’s (QNB) stock, which inched down 0.01%, led the QSE in terms of liquidity with QAR 40.7 million, while Ezdan Holding Group’s stock headed the market in terms of trading volume with 977,400 shares.